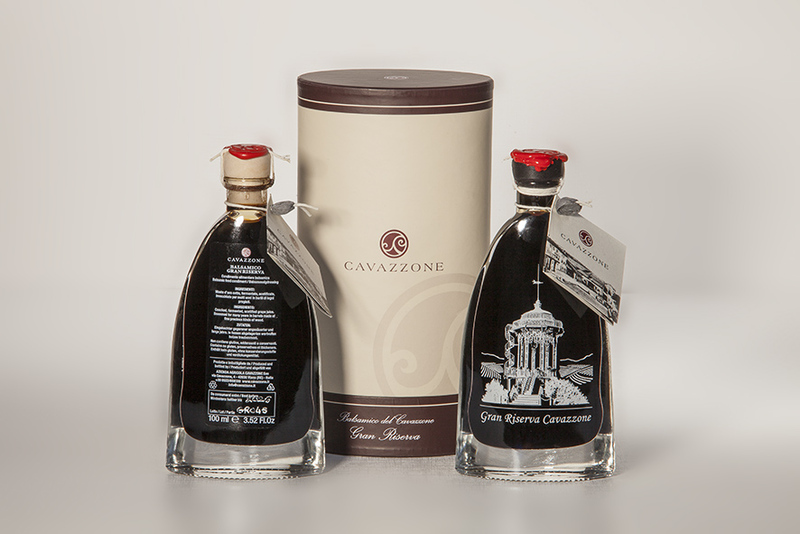 This fine produce of the Cavazzone Vinegar, nectar rich in fragrance and history are up to 200 years old. It is the youngest product of our farm. Glossy dark brown liquid with an intense scent and an appetizing flavor with a sour touch. 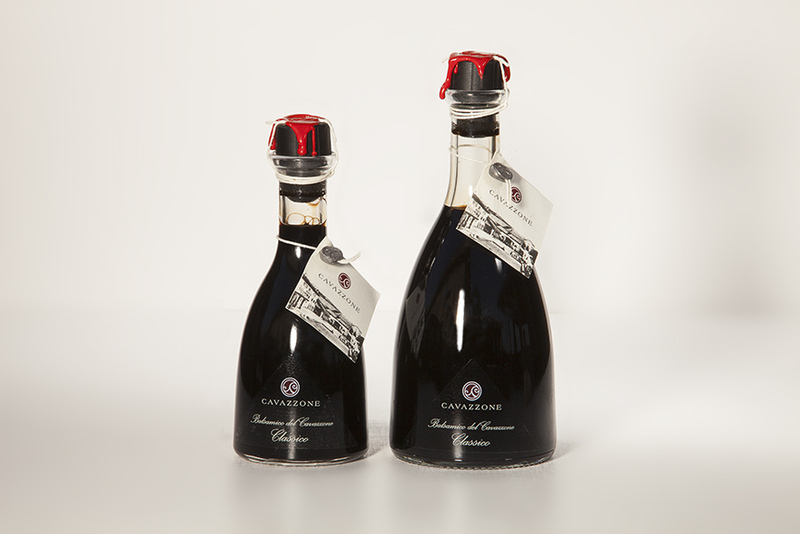 Glossy dark brown liquid with a full-bodied sweet and sour flavor and the ideal balance between acidity and density. It is a complex product, with a velvet dark brown color, a very intensive and lingering flavor, rich in fragrances from the different woods where it is contained. Ageing process of over 12 years. 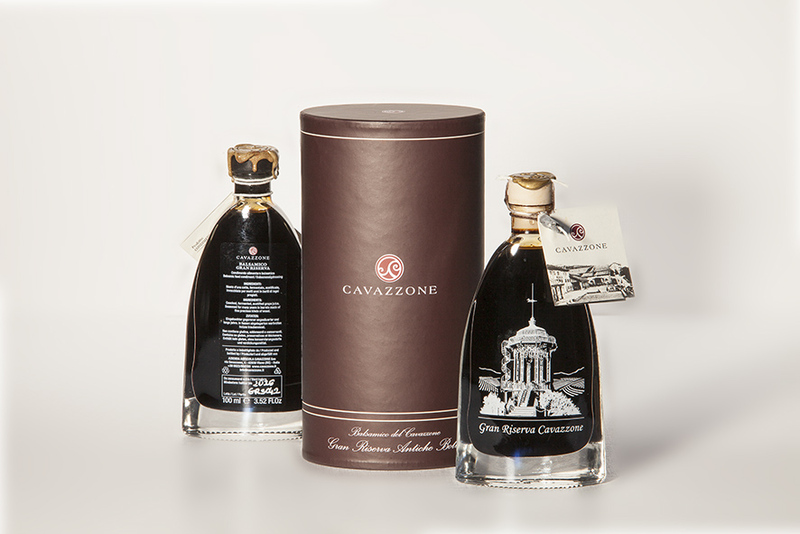 In a prestigious triangle shaped bottle containing of product with the silk-screen printing of the “Belvedere”, the lookout jewel and symbol of the Cavazzone. It is the jewel and the pride of the Farm. It is a complex product, with a velvet dark brown color, a very intensive and lingering flavor, rich in fragrances from the different woods where it is contained. Ageing process of over 25 years. 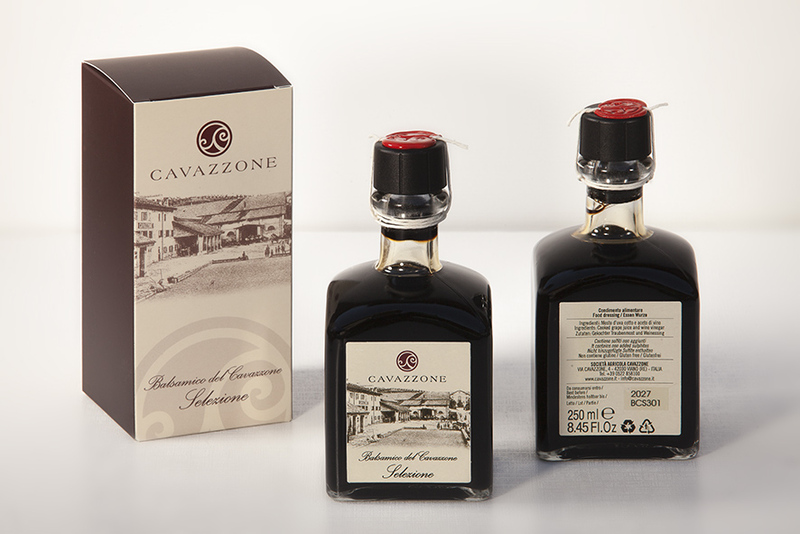 In a prestigious triangle shaped bottle containing of product with the silk-screen printing of the “Belvedere”.